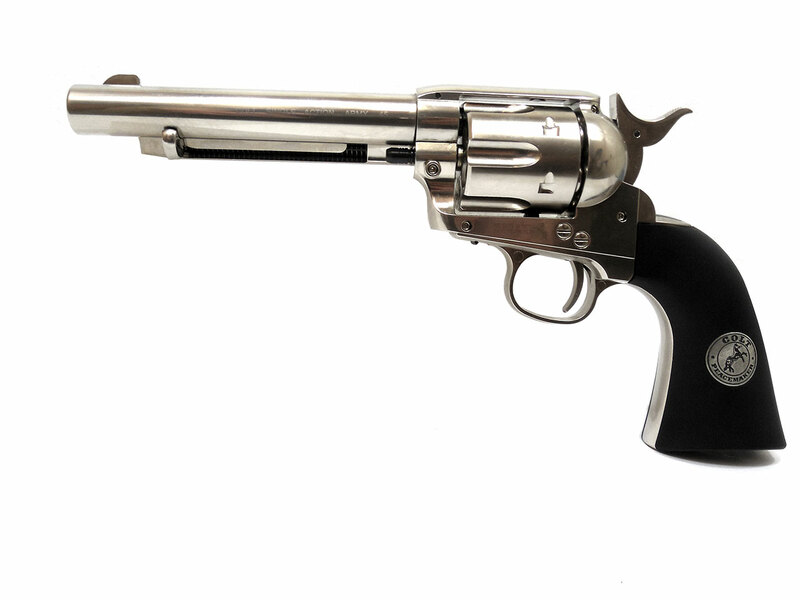 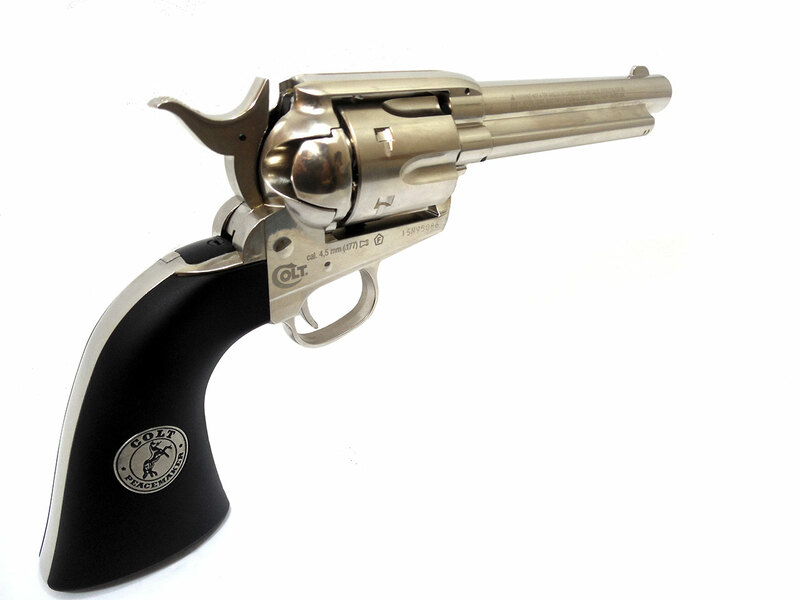 A great looking and quite accurate replica of the Colt Single Action Army .45, the Peacemaker is full metal, CO2, 6-shot, single action CO2 pellet revolver with a nickel finish and synthetic black grip sides. 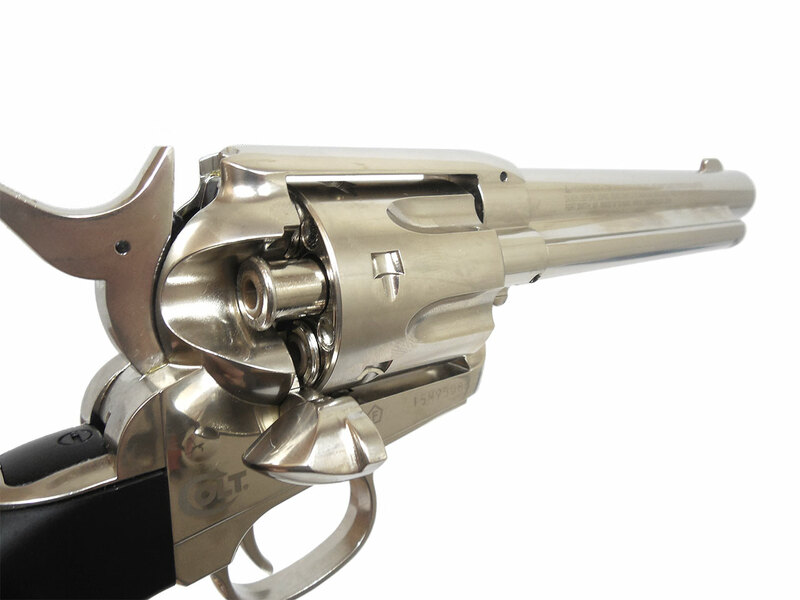 It comes with 6 bullet style cartridges used to load the pellets, and features a working ejector rod. 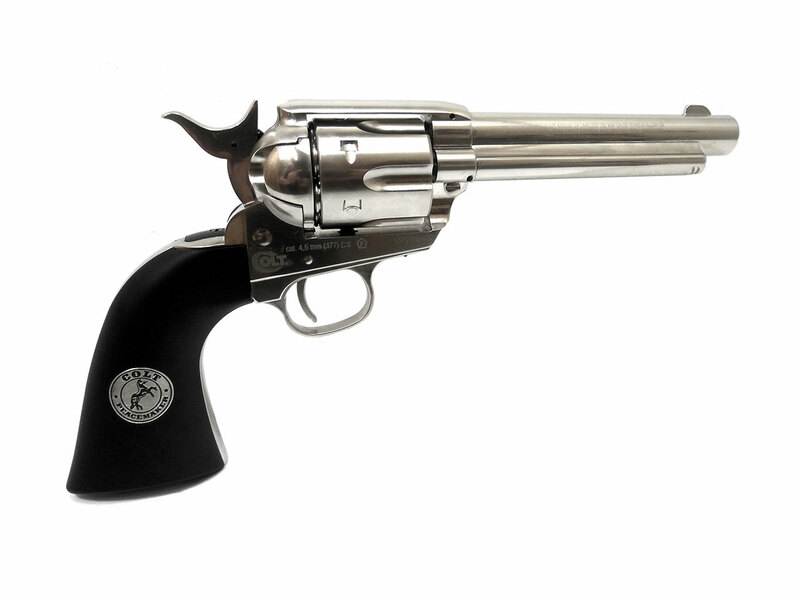 The attention to detail on this replica was very well thought out.